Why Do We Love Short Films? Before you leave to go watch awesome shorts, make sure to leave us a little comment about why YOU love short films in our comment box at the bottom of the page! We really want to know what triggers your short love! Our relationship with the short film has been a love affair that dates back to the first ‘moving images’ that were recorded in 1890’s. But the film industry has long changed since then, so what is it that still drives the artists to create five minute short stories instead of full length feature movies? 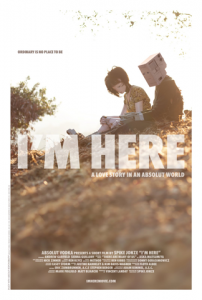 I’M Here by Spike Jonze – Spike often creates short films between his bigger projects. Some answers are very obvious, the first and foremost being without any doubt; budget! Most people don’t have millions in their pockets backing them to produce a two hour long movie. But even with millions, some directors still take the time to create short films in between their bigger projects. Budget also comes hand in hand with time, we all know a feature can take years to produce with a crew of hundreds, a short on the other hand can be delivered in months or even weeks, or sometimes days with just a few people. Although I know of short film projects that have spanned over years (my own included), which brings me to my next point. Short films are usually independent films that are budgeted and produced by a small team, often by the director himself. Meaning that you are your own boss, no deadlines! Most of us have full time jobs and create these little films out of passion and fun, so having the freedom to decide when, where and how to shoot is a luxury that larger films don’t have. With today’s Social Media and mobile accessibility we are constantly bombarded with content from the moment you wake up to until the moment you fall asleep (most likely with the phone still in your hands). The Short Film seems perfectly tailor-made for our quick and fast-paced digital era. People can watch shorts whenever they have five minutes to spare, while surfing the web at night, on lunch break at work, during work hours when your boss isn’t looking, even in the bus on the way to work! But since we are competing with so many other distractions out there coming in every second, the shorter the film is the better it is – I talk about this in a previous post on what we like. Of course this applies if your mainly planning for online viewing. Some directors have successfully defied the unwritten rule, like Ryan Connolly with his short film “Tell“, but I must say his popularity greatly contributed to the success and thousands of views to his short. There is no denying that the web has made shorts available to everyone, and has made it easy for talented artists to get noticed without spending a single penny. And we absolutely love it! So Why Do We Love Watching Short Films? People have been watching shorts way before digital and social media came along, so it can’t just be we love watching them because they fit within our schedule. I strongly believe that the main reason is because a short film is an art in itself! There is a beauty in being able to tell a story in a short amount of time, certainly a challenge that filmmakers seem to truly enjoy. Stripping out all the less important elements of a story and cramming in as much fundamental bits as you can to keep a story functional. Because of this, the stories are usually short, sweet and straight to the point. We see featured films trying to compact as many twists as they can to fill in their 2 hours, for shorts, often only one twist or climax is needed. Genres and story types are very similar between shorts and feature lengths, but with shorts you can always get away with a little more. You can leave the end of a story wide open, or show things or subjects that they would never dare making for theater. People like the unexpected, and watching a short film you are usually going in knowing nothing or very little, the description gives you an idea of the story and genre, but nothing more. You don’t know the actors nor the director, you don’t even know if you will like it. But the thrill of knowing that maybe you landed on a hidden gem is what makes it exciting! I always interpreted short films as a gateway to our dreams, a realm of imagination transformed into moving images. Short films can go as far as your imagination takes you, they don’t always have to make any sense, they just need to capture the viewer’s attention with either a catchy story or aesthetic photography. The notion of ‘creating a dream’ dates back to the first ever science fiction films by special effects pioneer Georges Méliès. His most famous film, Le Voyage Dans La Lune (A Trip To The Moon) is a perfect example of this. If you’ve ever wondered where your dreams come from, you look around… this is where they’re made. When you think of a dream that you had, you usually have the sensation that it lasted several hours, where in fact dreams usually last between 5 and 15 minutes. Short films tempt to work in the same way, showing as much information and visuals as you can in a short amount of time, not to make the timeline inside the movie feel longer, but making the brain take in as much info to make it seem like time is slower. It’s difficult to make a 2 hour movie about one dream, no matter your budget, which makes short films the perfect way to portray your dreamy vision. Most of my favorite short films are dream-like movies. Why Do YOU Love Shorts? The point that I’m trying to get to is that our love for short films goes beyond budgeting and length, every person can have their own reason for liking shorts, mine is because they make me feel like I’m dreaming in the middle of the day. What’s your reason? 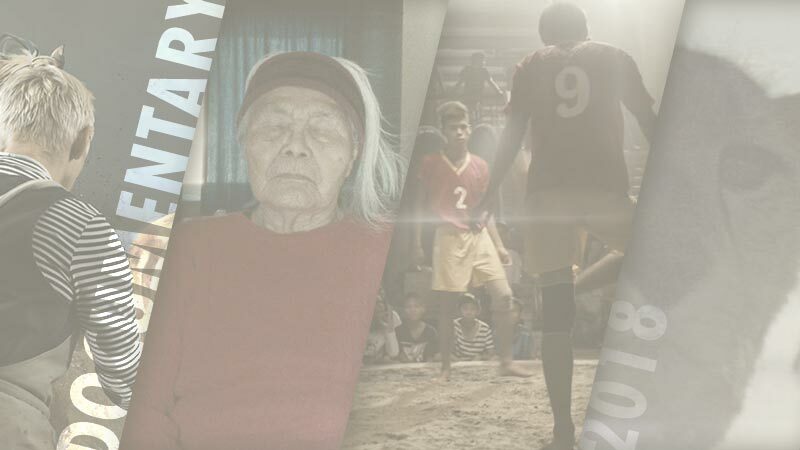 Use our comment box below and let us know why you love short films!